Customers often come in with ailing plants and questions about light, water, fertilizer, etc. and most, if not all of them are overthinking this. This series of blog posts will address all the basic care tips to keep your plants healthy. I have found that houseplants and people are very similar, we need certain things to live, optimal conditions to thrive, and most can survive in less than ideal circumstances. These are very basic plant parenting skills. Some people thrive in the sun and some wilt, some suffer even the slightest change and some thrive on it. When you purchase your plant, you should be given any special care instructions needed. If not, at least be sure to learn the correct name of your plant so that you can do a little googling on your own. If the plant seller does not know the correct name or care instructions, think twice about purchasing or at least try taking your new addition to a reputable florist or nursery to see if they can help you. In Part 1 we’ll talk about Light, Location and Temperature. Your tropical houseplants are very similar to you. They like a little more humidity than most of us, but like most of us living in Southern California they like warm weather. My general rule is to put myself in my plant’s pot. Take a seat near where you plan to set your lush bit of tropical paradise and see how you feel. Make sure to do this at various times of the day and also seasonally. I like light, so do my plants. If the light is too bright, your plants will be washed out looking instead of vibrant shades of green, where we turn red, they turn yellowish. But if it isn’t light enough, variegated plants will lose their distinctive markings and become a solid green, kind of like we lose our freckles. I don’t like sitting in front of a west facing window in summer and burning up, neither do they. If your arms are burning from the hot sun, your babies’ leaves will be getting crisp as well and remember strong sun can burn even in cooler temps. Is there a cold draft coming through that window making you uncomfortable? Your plant can’t grab a sweater so you better choose a better location. Is it dim, dark and depressing in the hallway where you need some life? Would you thrive sitting there? If not, buy a painting to fill up that empty space; think Monet and water lilies. Yes, yes, there are plants that can do well in low light but are they growing and thriving? I’m not someone who believes you have to talk to your plants but I do think every living thing on this planet needs a little fresh air and light. Remember the last time you were in a restaurant and the air conditioning vent was right above your table? Unless the food was fantastic your experience was tainted. Make sure your plants aren’t sitting in front of heating and cooling vents. Air conditioning and heating also dry out the air. If you get dry skin in summer from the air conditioner or in the winter from the heater, your plant might be getting the same condition. Try misting the plant regularly, setting it on a try of pebbles and water, or take in the bathroom with you while you shower, maybe your singing is what it’s missing in life. As for temperature, they are tropical houseplants so they don’t really like cold weather. 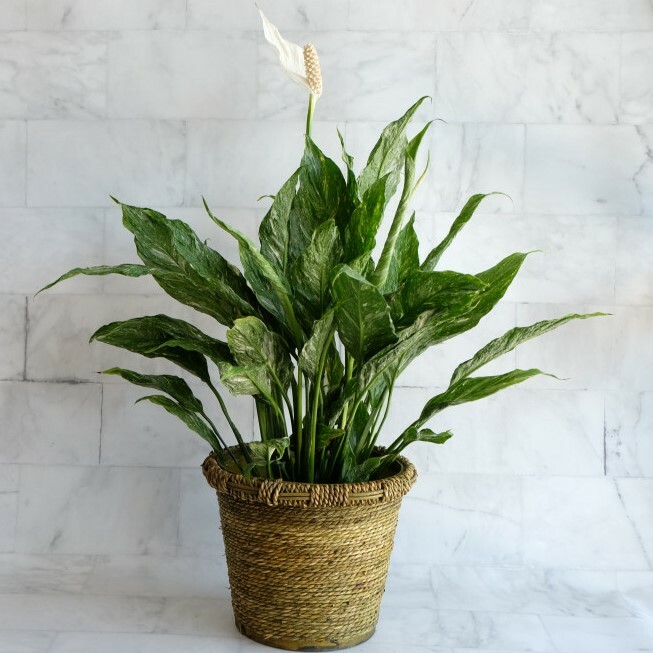 Most houseplants like daytime temps in the 70-80’s but do fine if a little warmer, they also like to sleep in cooler temps, usually in the 60’s at night. If you’ve put your indoor plant on an outdoor patio because you live in a tropical paradise, it will do well. For those of us in Southern California, it’s fine through most of the year but if the temps fall below the 50’s it won’t be too happy. Since we have few of those colder nights, if the plant is in a large pot they usually do okay. Small pots should be brought inside. So there’s your first assignment. Get to know your home from your plant’s point of view. In Part 2 we’ll grapple with water – the main culprit in plant death.